Not since the News of the World's sensational Ashley Cole 'revelations' has a mobile phone caused such a stir as the new Apple iPhone. It's not hard to understand why. Sharing the wonderful design principles that made the iPod the definitive MP3 player, it is extremely easy on the eyes. Anyone who has used an iPod will also be well aware of their user-friendly nature. This also looks set to cross over into the new mobile phone, with a rather lovely, touchscreen interface. Of course, a touchscreen interface is nothing new. And it's certainly nothing unique to Apple - other manufacturers, notably blackberry and Nokia, have been using this technology for years. What is great about Apple's phone is that the traditional need for a 'magic wand' has gone, to be replaced by an interface suitable for even the clunkiest fingers. 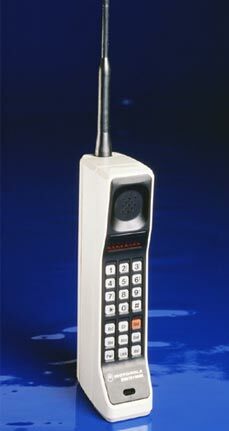 Interestingly, days after the annoucement of the iPhone, Prada and LG announced the arrival of this little beauty. Quite possibly the most desirable phone since, well, since the iPhone, Prada have waved their magic wand over LG's already stylish design - remember the chocolate - and, well, removed all bells and baubles and left a futuristic slab of Italo-Asian style. On a semi-related topic, I spent last night in a restaurant called Asia de Cuba, in Buenos Aires' swish Puerto Madero region. Sitting in an Asian restaurant (in Argentina), with a Norwegian and a Canadian, chomping on American sushi, we were more than a little surprised when a belly dancer started up at one in the morning. The world is shrinking! It would not be at all surprising to see Apple dominating the mobile phone market in ten years time. 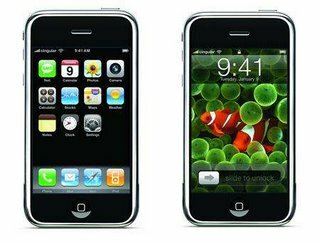 If they can make the iPhone as user-friendly as the iPod - and, let's face it, they probably will - it is time for the other manufacturers to get themselves together and make some real progress in phone design. These are exciting times indeed!